If you want a holiday that will uplift your soul transport you to another place,refresh,relax.and inspire you,, this is it ,our slice of paradise. Minimum night stay is 2 nights. 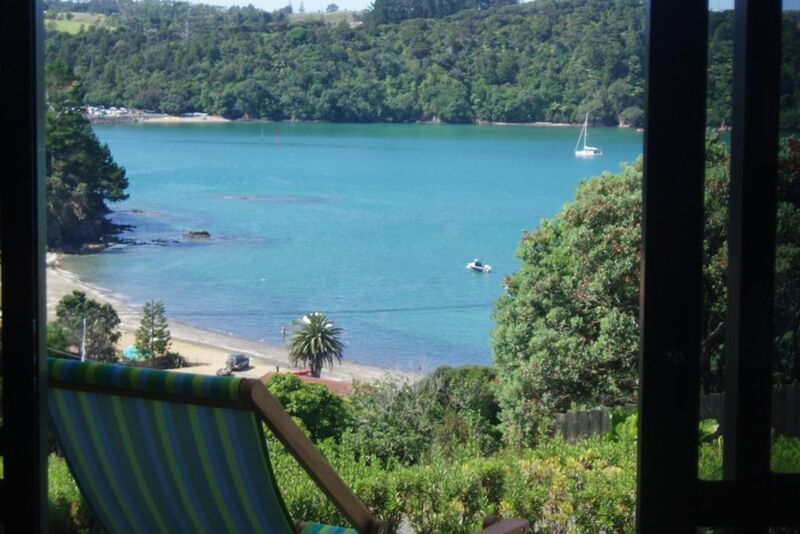 • Thanks for a great get away for our honeymoon, the views are spectacular and the cottage has all the comforts of home....Lorna and Brad, Auckland. We highly recommend L’Anour, if you looking to unwind or something cosy and romantic. My husband is a builder and he appreciates the detail in the craftsmanship on the batch. It’s absolutely stunning and perfect for a quick getaway from the city. We definitely will be returing in the near future! thank you ,so pleased you had a wonderful time,welcome back at any time...wonderful guests! Had a lovely quiet weekend away enjoying the beautiful views. wow,thank you for leaving the bach immaculate! !,wonderful guest,and certainly welcome back at any time....highly recommend if you are looking for the perfect guest. Lovely small but efficient cottage with a fabulous view. Tasteful and comfortable and close to the marina. Loved it. Thoroughly enjoyed our stay at L'Amour. A wonderfully appointed bach with mesmerising views over Church Bay. Sandra (host) was also lovely to deal with. Would return in a heartbeat.